It’s no secret that cybersecurity is an epidemic problem that affects online businesses on a global scale. E-commerce businesses are especially affected by data breaches because it weakens the consumer’s trust in online businesses to protect their personal data. In response to the growing number of breaches, governments and enterprises alike are stepping up to the plate to provide sustainable solutions to the problem. The UK is aiming to become a world leader in cybersecurity by investing a substantial amount of money (to the tune of £70 million) in the Industrial Strategy Challenge Fund. The fund represents the government’s commitment to increase funding in research and development by £4.7 billion over a four year period. One of the primary goals of the investment will be to supply the industry with the money necessary to design and develop state-of-the-art hardware that’s more secure and resilient to common cyber threats. The logic stems from the fact that cybercriminals are constantly finding new ways to exploit current technology, so the best way to combat future attacks is to design chips and hardware with stronger security features built into them to outpace cyber threats. However, this means businesses will have to invest in new IT systems as it rolls out to keep their security measures up to par. For the time being, online business owners need to do everything in their power to address the privacy concerns of their users. In some cases, this might mean investing in more secure and modern e-commerce platforms that offer security features, such as TLS (still commonly known as SSL) protection and security software to protect against malware attacks, or simply generating new, strong admin passwords on a regular basis. The fact is, there is no way to provide customers with a 100% guarantee their personal data is safe, but there are actions webmasters and companies can do to make their websites a lot safer to use by their customers. To help you learn more about how you can secure your site from cyber threats, Wikibuy has laid out 15 steps in the infographic below. The potential threat posed by Huawei to the UK national infrastructure continues to be played out. GCHQ called for a ban on Huawei technology within UK critical networks, such as 5G networks, while Three said a Huawei ban would delay the UK 5G rollout, and the EU ignored the US calls to ban Huawei in 5G rollouts, while promoting the EU Cybersecurity certification scheme to counter the Chinese IT threat, which is all rather confusing. Meanwhile, Microsoft Researchers found an NSA-style Backdoor in Huawei Laptops, which was reported to Huawei by Microsoft, leading to the flaw being patched in January 2019. A serious security flaw placed Royal Bank of Scotland (RBS) customers at risk. The vulnerability was discovered by PenTest Partners in the bank provided 'Heimdal Thor', security software, which was meant to protect NatWest customers from cyber-attacks but actually permitted remote injection commands at the customer's endpoint. PenTest Partners said "We were able to gain access to a victim's computer very easily. Attackers could have had complete control of that person's emails, internet history and bank details. To do this we had to intercept the user's internet traffic but that is quite simple to do when you consider the unsecured public wi-fi out there, and it's often all too easy to compromise home wi-fi setups. Facebook made negative security headlines yet against after they disclosed that 20,000 of their employees had access to hundreds of millions of their user account passwords for years. One of the world’s biggest aluminium producers, Norsk Hydro, suffered production outages after a ransomware outbreak impacted its European and US operations. Damages from ransomware attack on Norsk Hydro reach as high as $40M. Citrix disclosed a security breach of its internal network may have compromised 6Tb of sensitive data. The FBI had told Citrix that international cyber criminals had likely gained access to its internal network. Citrix said in a statement it had taken action to contain the breach, “We commenced a forensic investigation; engaged a leading cyber security firm to assist; took actions to secure our internal network; and continue to cooperate with the FBI”. According to security firm Resecurity, the attacks were perpetrated by Iranian-linked group known as IRIDIUM. Credit monitoring Equifax admitted in a report it didn't follow its own patching schedule, neglecting to patch Apache Struts which led to a major 2017 breach which impacted 145 million people. The report also said Equifax delayed alerting their customers for 6 weeks after detecting the breach. ASUS computers had backdoors added through its software update system, in an attack coined “ShadowHammer”. Kaspersky researchers estimated malware was distributed to nearly a million people, although the cybercriminals appeared to have only targeted 600 specific devices. Asus patched the vulnerability but questions still remain. Data breaches are up 400% in 2018 according to a report by 4iQ, with almost 15 billion records exposed. Anti-Public Combo Collections – (Hacked) Sanixer Collection #1-6, 1.8 billion unique email addresses. Exactis – (Open device) 340 million people and businesses. 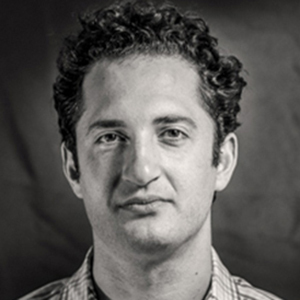 Apollo – (Open device) 150 million app users. Quora – (Hacked) 100 million users. Google+ – (API Glitch) 52.2 million users. Cathay Pacific Airways (Targeted attack) 9.4 million passengers. 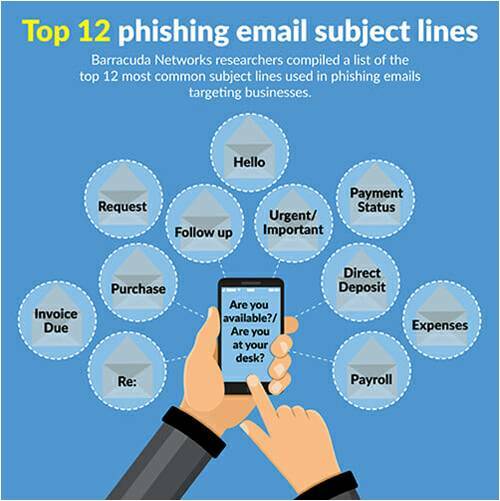 Barracuda Networks reported the top 12 phishing email subject lines, after they analysed 360,000 phishing emails over a three-month period. 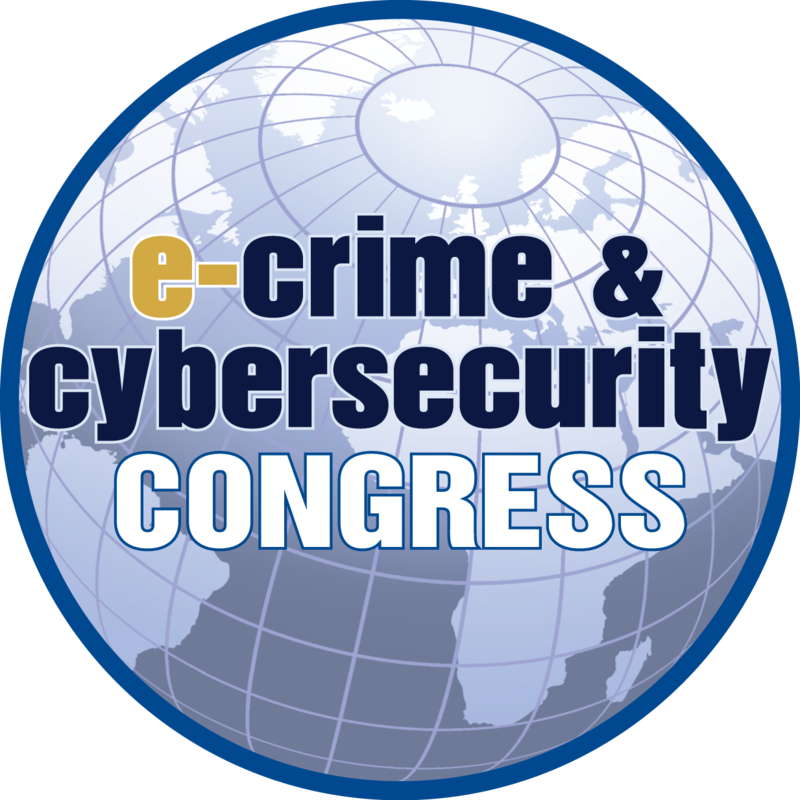 I was a panellist at the e-Crime & Cybersecurity Congress last week, the discussion was titled 'What's happening to your business? Cloud security, new business metrics and future risks and priorities for 2019 and beyond", a recap of the points I made. Cloud is now the default model for IT services in the UK; cloud ticks all the efficiency boxes successful business continually craves. Indeed, the 'scales of economy' benefits are not just most cost-effective and more agile IT services, but also include better cybersecurity (by the major cloud service providers), even for the largest of enterprises. It is not the CISO's role to challenge the business' cloud service mitigation, which is typically part of a wider digital transformation strategy, but to ensure cloud services are delivered and managed to legal, regulatory and client security requirements, and in satisfaction of the board's risk appetite, given they ultimately own the cybersecurity risk, which is an operational business risk. There are security pitfalls with cloud services, the marketing gloss of 'the cloud' should not distract security professionals into assuming IT security will be delivered as per the shiny sales brochure, as after all, cloud service providers should be considered and assessed in the same way as any other traditional third-party IT supplier to the business. It is essential for security to be baked into a new cloud services design, requirements determination, and in the procurement process. In particular, defining and documenting the areas of security responsibility with the intended cloud service provider. For example with a PaaS model, the business is fully responsible for application deployment onto the cloud platform, and therefore the security of applications. The cloud service provider is responsible for the security of the physical infrastructure, network and operating system layers. The example of the 'shared' responsibility with this model, are the processes in providing and managing privileged operating system accounts within the cloud environment. Regardless of the cloud model, data is always the responsibility of the business. A "Trust but Verify" approach should be taken with cloud service providers when assuring the security controls they are responsible for. Where those security responsibilities are owned by or shared with the cloud service provider, ensure the specific controls and processes are detailed within a contract or in a supporting agreement as service deliverables, then oversight the controls and processes through regular assessments. What can we learn from the major data breaches of 2018? 2018 was a major year for cybersecurity. With the introduction of GDPR, the public’s awareness of their cyber identities has vastly increased – and the threat of vulnerability along with it. The Information Commissioner’s Office received an increased number of complaints this year and the news was filled with reports of multi-national and multi-millionaire businesses suffering dramatic breaches at the hand of cybercriminals. The card details of 380,000 customers were left vulnerable after a hack affected bookings on BA’s website and app. The company insists that no customer’s card details have been used illegally but they are expected to suffer a major loss of money in revenue and fines as a result of the attack. Almost 2 million users had their personal data, including billing information and email addresses accessed through an API by an international group of hackers last August. A vulnerability in the app’s cloud computing account meant that the names and contact details of 21 million users were affected on Timehop. The company assured users that memories were only shared on the day and deleted after, meaning that the hackers were not able to access their Facebook and Twitter history. One of the most sensationalised news stories of the last year, Facebook suffered a string of scandals after it was released that analytics firm Cambridge Analytica had used the Facebook profile data of 87 million users in an attempt to influence President Trump’s campaign and potentially aid the Vote Leave campaign in the UK-EU referendum. After a “malicious third party” accessed Quora’s system, the account information, including passwords, names and email addresses, of 100 million users was compromised. The breach was discovered in November 2018. As the UK made the switch from the Data Protection Act to GDPR, businesses and internet users across the country suddenly became more aware of their internet identities and their rights pertaining to how businesses handled their information. With the responsibility now firmly on the business to protect the data of UK citizens, companies are expected to keep a much higher standard of security in order to protect all personal data of their clients. How many complaints to the ICO? Elizabeth Denham, the UK’s Information Commissioner, said that the year 2017-18 was ‘one of increasing activity and challenging actions, some unexpected, for the office’. This is shown in an increase in data protection complaints by 15%, as well as an increase in self-reported breaches by 30%. Since this is the first year of GDPR, it is expected that self-reported breaches have increased as businesses work to insure themselves against much higher fines for putting off their announcement. The ICO also reports 19 criminal prosecutions and 18 convictions last year and fines totalling £1.29 million for serious security failures under the Data Protection Act 1998. The office has assured that they don’t intend to make an example of firms reporting data breaches in the early period of GDPR but as time goes on, leniency is likely to fade as businesses settle into the higher standards. With 36% of SMEs having no cybersecurity plan, the general consensus is that they make for unpopular targets. However, with the GDPR, the responsibility is on the business to protect their data so being vulnerable could result in business-destroying costs. Considering the cost to businesses could total the higher of 2% of annual turnover or €10 million, data protection is of paramount importance to small businesses. How exposed are we in the UK? At 31%, our vulnerability rating is higher than the Netherlands, Germany, Estonia (30%) and Finland (29%), but the UK is a more likely target for cybercriminals looking to exploit high tech and financial services industries, which are some of the most vulnerable across Great Britain. Despite a higher level of vulnerability, the UK has one of the largest cyber security talent pools, showing there is time and manpower being dedicated to the protection of our data online. There are many ways in which organisations can benefit from ATT&CK, often dependant on an organisation's security capabilities and the general security maturity. Steve Rivers, Technical Director International at ThreatQuotient has written guidance on the MITRE ATT&CK stages of maturity, so that any organisation can derive value from it. 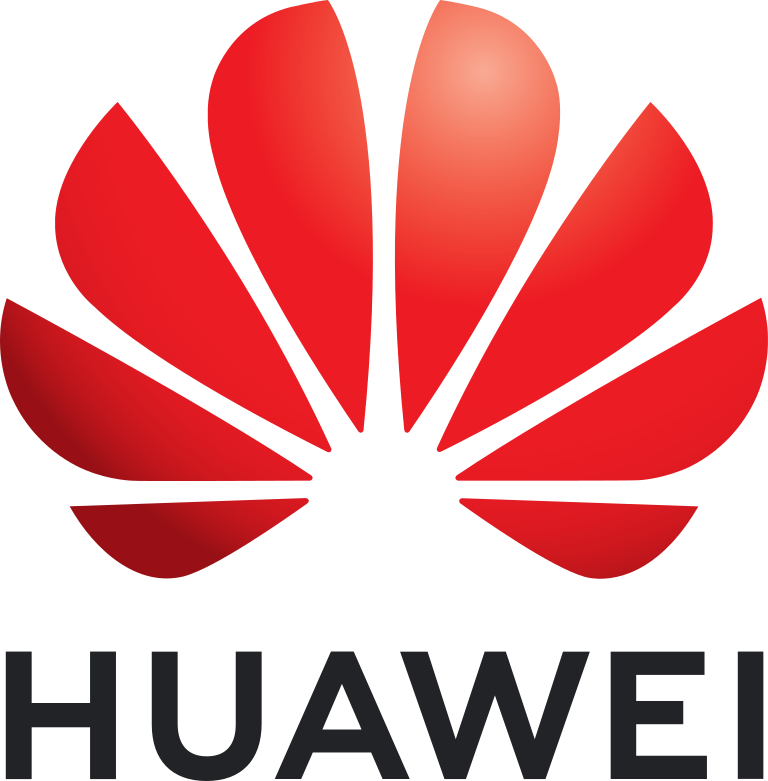 The perceived threat posed by Huawei to the UK national infrastructure continued to make the headlines throughout February, as politicians, UK government agencies and the Chinese telecoms giant continued to play out their rather public spat in the media. See my post Is Huawei a Threat to UK National Security? for further details. And also, why DDoS might be the greater threat to 5G than Huawei supplied network devices. February was a rather quiet month for hacks and data breaches in the UK, Mumsnet reported a minor data breach following a botched upgrade, and that was about it. The month was a busy one for security updates, with Microsoft, Adobe and Cisco all releasing high numbers of patches to fix various security vulnerabilities, including several released outside of their scheduled monthly patch release cycles. A survey by PCI Pal concluded the consequences of a data breach had a greater impact in the UK than the United States, in that UK customers were more likely to abandon a company when let down by a data breach. The business reputational impact should always be taken into consideration when risk assessing security. Another survey of interest was conducted by Nominet, who polled 408 Chief Information Security Officers (CISOs) at midsize and large organisations in the UK and the United States. A whopping 91% of the respondents admitted to experiencing high to moderate levels of stress, with 26% saying the stress had led to mental and physical health issues, and 17% said they had turned to alcohol. The contributing factors for this stress were job security, inadequate budget and resources, and a lack of support from the board and senior management. A CISO role can certainly can be a poisoned-chalice, so its really no surprise most CISOs don't stay put for long. A Netscout Threat Landscape Report declared in the second half of 2018, cyber attacks against IoT devices and DDoS attacks had both rose dramatically. Fuelled by the compromise of high numbers of IoT devices, the number of DDoS attacks in the 100GBps to 200GBps range increased 169%, while those in the 200GBps to 300GBps range exploded 2,500%. The report concluded cybercriminals had built and used cheaper, easier-to-deploy and more persistent malware, and cyber gangs had implemented this higher level of efficiency by adopting the same principles used by legitimate businesses. These improvements has helped malicious actors greatly increase the number of medium-size DDoS attacks while infiltrating IoT devices even quicker. In a rare speech, Jeremy Fleming, the head of GCHQ warned the internet could deteriorate into "an even less governed space" if the international community doesn't come together to establish a common set of principles. He said "China, Iran, Russia and North Korea" had broken international law through cyber attacks, and made the case for when "offensive cyber activities" were good, saying "their use must always meet the three tests of legality, necessity and proportionality. Their use, in particular to cause disruption or damage - must be in extremis". Clearly international law wasn't developed with cyber space in mind, so it looks like GCGQ are attempting to raise awareness to remedy that. I will be speaking at the e-crime Cyber Security Congress in London on 6th March 2019, on cloud security, new business metrics, future risks and priorities for 2019 and beyond. 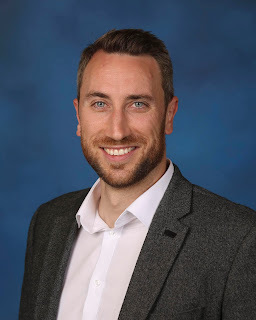 Finally, completely out of the blue, I was informed by 4D that this blog had been picked by a team of their technical engineers and Directors as one of the best Cyber Security Blogs in the UK. The 6 Best Cyber Security Blogs - A Data Centre's Perspective Truly humbled and in great company to be on that list. What's the greater risk to UK 5G, Huawei backdoors or DDoS? Have we been focusing too much on the Huawei backdoor threat instead of the DDoS threat facing the incoming 5G network infrastructure? Lee Chen, CEO at A10 networks thinks so. The size and sophistication of distributed denial-of-service (DDoS) attacks have risen at an ever-accelerating pace. As new 5G networks become operational, we expect the size of attacks will dwarf these records. This is primarily due to the increase in IoT devices that 5G will introduce, with the number set to reach 4.1 billion globally by 2024. Each device is a perfect nest for botnets carrying malware, offering a new DDoS weapon for hackers to take advantage of. Service providers will need to evolve rapidly with these growing threats and adopt intelligent automation to detect and mitigate security anomalies in a matter of seconds. Sophisticated DDoS threat intelligence, combined with real-time threat detection and automated signature extraction, will allow the marketplace to defend against even the most massive multi-vector DDoS attacks, no matter where they originate. The Huawei threat remains a political football, there is still uncertainty on whether the Chinese telecoms giant's network devices will be banned in the UK or not. 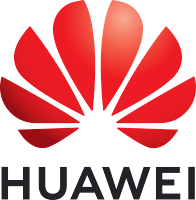 I have updated my post - Is Huawei a Threat to UK National Security? with the latest developments.